Tree of Life Vest Aran Knitting. 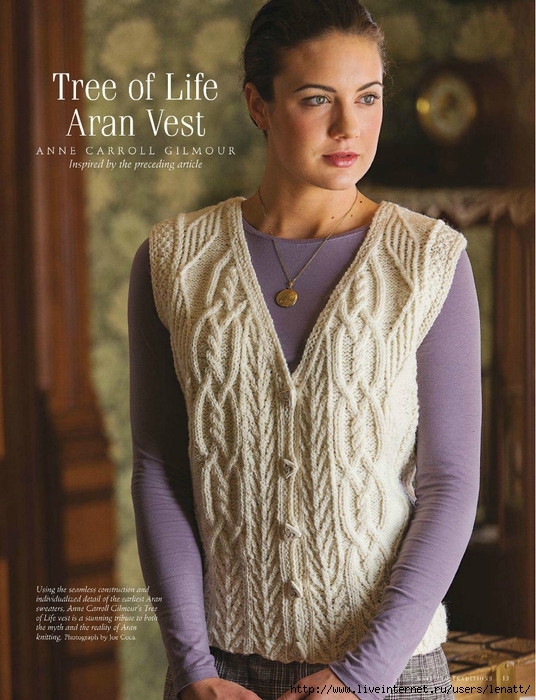 I love Aran knitting patterns, I can really sink my knitting teeth into these patterns. There is something so special about cables! I found this pattern here. Free Shawl Knitting Patterns. Shawls are wonderfully satisfying to knit and make great accessories for dresses and evening outfits and just for something warm to throw over you shoulder on a cold Winter’s day. 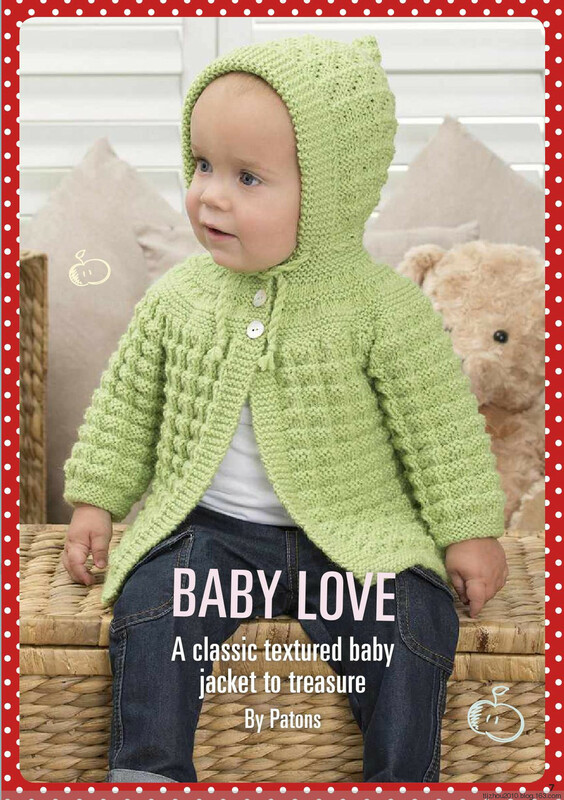 Loving all the free shawl knitting patterns here! Barbie Crochet Victorian Costume. I have always loved making Barbie clothes, isn’t this pattern amazing! 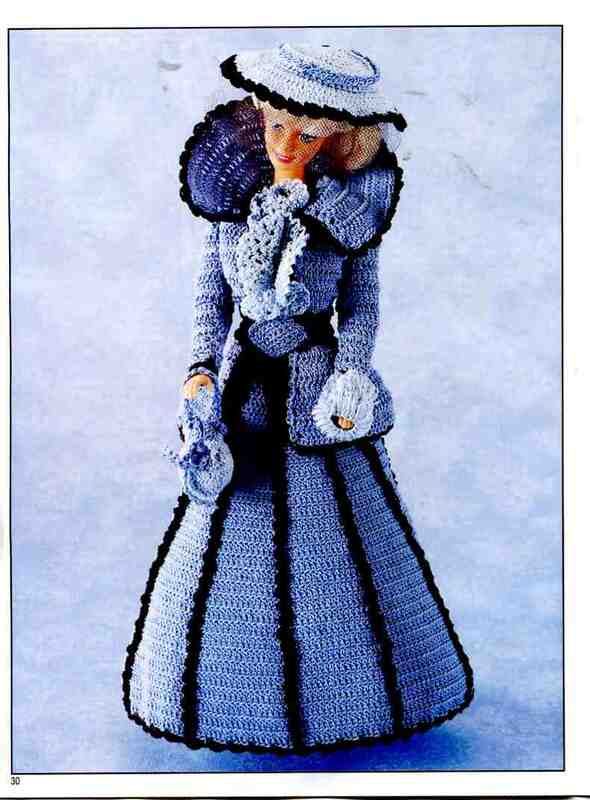 12″ Doll Knitting Pattern Clothes for Teenage Doll Vintage. 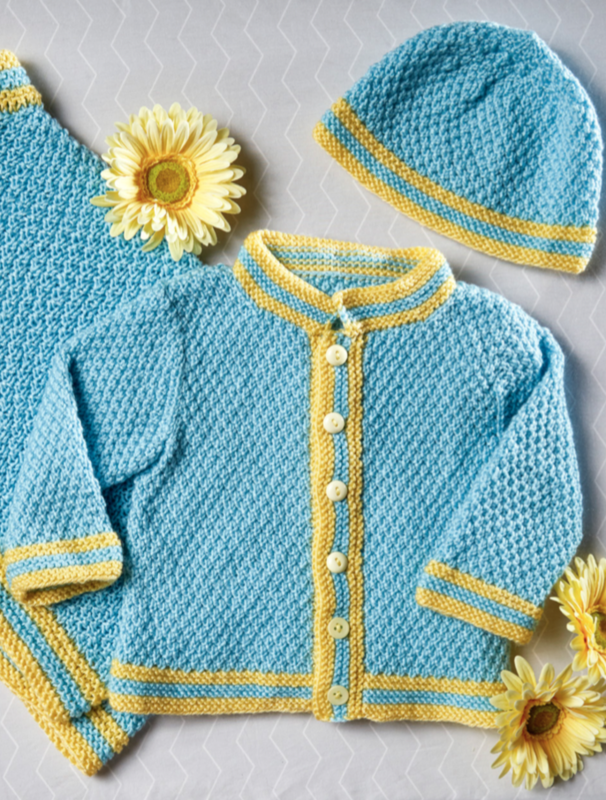 Trousers and Jacket 12″ Doll Knitting Pattern Doll’s outfit patterns including poncho, bikini and french berets, striped top and trousers. Vintage knitting patterns for coats. 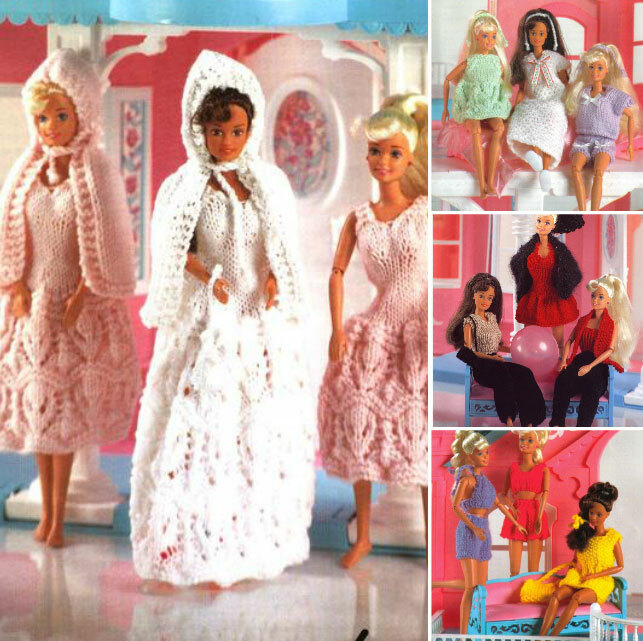 Wendy or Barbie Knitted Bride and Bridesmaids Outfits Patterns. 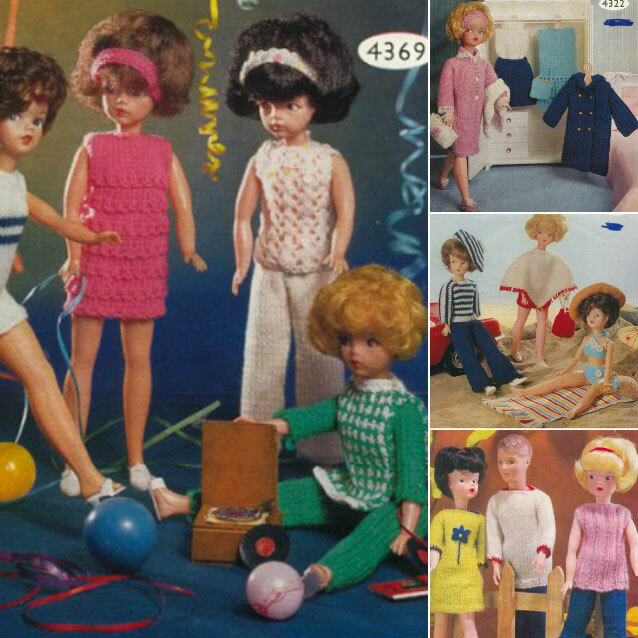 Party clothes and dresses for Barbie and Winter Coats, plenty of vintage Barbie Knitting patterns! 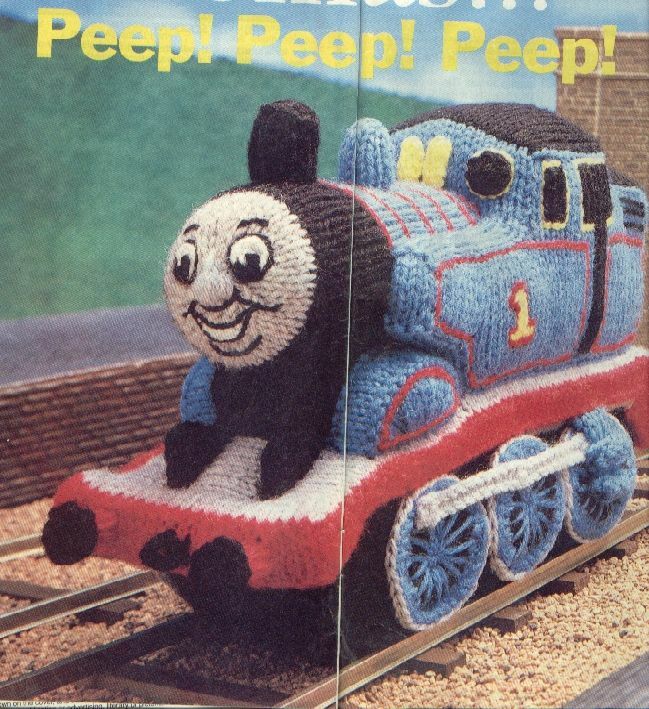 Thomas the Tank Engine Knitting Pattern.